Entering 2019, there is generally one thing on the mind of every UK investor – Britain’s official withdrawal from the EU on March 29. There’s never been a more difficult time to predict the future of UK property prices and although political uncertainty looms over the wider property market, we’re looking ahead to how the UK will react during 2019. The Midlands and the North continue to take advantage of the South’s continued decline, headlined by stagnant growth within the capital. Rightmove predict that northern hotspots will remain buoyant, with property prices rising between 2% and 4% on average, apart from London which continues to see prices fall. During 2018, the capital’s property market began to creak under the prices of expensive, higher-end properties. Between stretched affordability and the uncertainty that comes with Brexit, the London property market has recently experienced a hugely disruptive cycle. 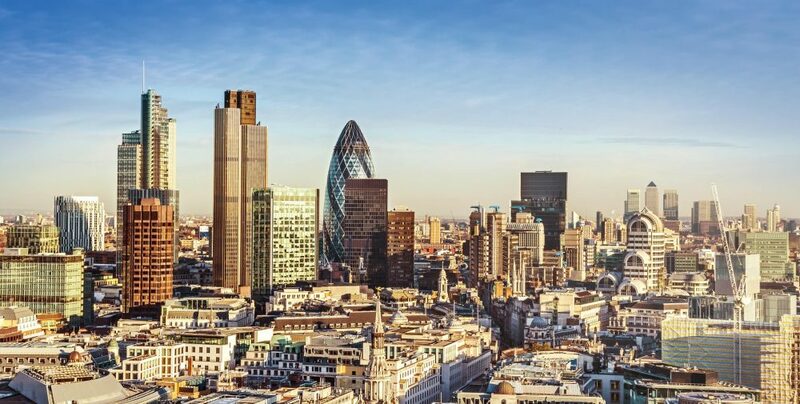 For 2019, or the first three months at least, this looks set to continue with industry experts forecasting a slow start for London in the run-up to March 29. JLL, on the other hand, predicts a bright start for the entire market as long as a Brexit deal is reached, with prices gaining traction post-2021. Providing a deal goes through with the EU, JLL is forecasting house prices to grow by 11.4% in the next five years. Despite the impact of this political upheaval, the UK remains a preferred investment target for many overseas buyers in 2019, utilising the excellent growth of regional cores to implement new developments and infrastructure improvements that will attract both investors and tenants. Cities such as Birmingham are taking incredible steps in becoming hotspots across Europe, not just the UK. Filled with highly-skilled jobs, a talented workforce and a commercial sector that is attracting huge global corporations, Birmingham is using this incredible investment to drive development and improvement. Property prices in Birmingham have grown 16% post-Brexit vote, closely followed by Manchester and Liverpool at 15%. As the cities leading the regional renaissances, certain high-performing areas in these locations are providing yields of between 5 – 10%, some of the highest in the country. Outside of the North, the emergence of a second commuter belt is bringing the spotlight to new markets, particularly around Oxfordshire and the rapidly expanding ‘Growth Corridor’ in the South. Stretching as far as Oxford, Brighton and Basingstoke, this outer commuter belt has seen the average cost of property rise by 344% over two decades, driven by those that want to leave an unaffordable London market and are willing to travel further out. Oxfordshire itself sits at the heart of this emerging commuter alternative, a thriving landscape home to 434,800 working professionals and a total GVA of £21.9b. Offering direct access to the capital, huge professional tenant demand and an aspirational lifestyle, Oxfordshire is proving popular with tenants and investors alike. The traditional commuter belt also continues to experience unprecedented performance, providing quality amenities whilst maintaining excellent transport links with the capital. With 2019 set to see the completion of Crossrail, commuter towns will experience a new wave of demand driven by shorter journeys and higher-capacity trains. Looking ahead, it’s difficult not to focus on the general uncertainty that Brexit is creating for the property market. According to the Royal Institution of Chartered Surveyors (RICS), the lasting effects of Brexit will be felt throughout the UK market well into 2020. Chief Economist at RICS, Simon Rubinsohn, says he can’t ‘recall a previous survey when a single issue has been highlighted by quite so many contributors’. However, while it has definitely put a dent in the market, many experts are still predicting a return to economic stability especially around 2020 and 2021. This is particularly true of London, which generally reflects the wider UK market. Enjoyed this article? 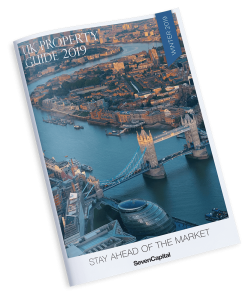 You can find a comprehensive breakdown of the UK Property Market in our 2019 UK Property Guide. Filled with insights, data and market analysis, it’s a comprehensive guide to the property market as it stands right now.